A Chinese writer detained for almost one month has been allowed a meeting with his wife, his lawyer said Monday, adding that police said they have not decided how to proceed with his case. 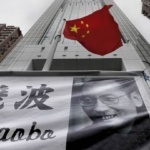 Liu Xiaobo was taken away by police Dec. 8, a day before the publication of a document he co-authored calling for stronger civil rights and an end to Communist Party political dominance. Mo said police were holding Liu under a form of house arrest called “residential surveillance,” but they had violated legal procedure by removing him from his home. “If the person under surveillance has a place to live in town at all, then the surveillance should be conducted at that place, not somewhere else in town,” Mo told The Associated Press on Monday. Mo said Liu Xia told him that her husband appeared to be in good health but that police said they had still not decided how to proceed in his case. 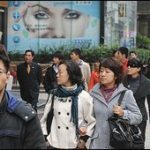 Chinese law permits the imposition of residential surveillance for up to six months, although that period can be renewed. Liu Xia’s phone rang unanswered on Monday. Liu Xiaobo, 53, is a former university professor who spent 20 months in jail for joining the 1989 student-led protests in Tiananmen Square. In his writings, most only published on the Internet, Liu has strongly called for civil rights and political reform, making him subject to routine harassment by the authorities. He was among more than 300 lawyers, writers, scholars and artists who signed “Charter 08” last month calling for a new constitution guaranteeing human rights, election of public officials, freedom of religion and expression, and an end to the party’s hold over the military, courts and government. Other people who signed the statement have been summoned or tailed by police. Late last month, more than 150 writers and rights activists, including Salman Rushdie, Nadine Gordimer, and Wole Soyinka, sent an open letter to Chinese President Hu Jintao urging Liu’s release.